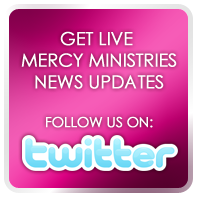 If one of your New Year’s resolutions is to get healthy in 2011, helping the hurting young women of Mercy Ministries might be just the motivation you need. Now is the perfect time to join the Run for Mercy Team in Nashville’s Country Music Half & Full Marathon to be held on April 30th! Ideally it takes 16 weeks to train for a marathon, so sign up now and receive your personalized training plan to help you get started. You can join our team by going to www.runformercy.com and then register for the Country Music Half & Full Marathon at www.cmmarathon.com. Walk, run or if you can’t make it to Nashville for the race, sign up as a virtual runner! All team members who raise $100 through their personal fundraising page at www.runformercy.com will receive a FREE Run for Mercy lululemon athletica tech shirt and an invitation to a special team dinner the night before the race. The dinner will be held at our Nashville home so this is a great opportunity to visit Music City and meet some of the hurting young women whose lives you are helping transform! Besides helping more young women find freedom, we have some other great incentives for joining our team. Raise $1,000 and receive a gift card to Apple, lululemon, Southwest Airlines, Fleet Feet or a local day spa. Raise $2,500 and receive a $250 gift card or raise $5,000 for a $500 gift card! 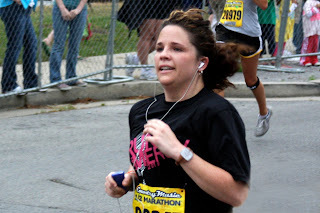 Participating on the Run for Mercy Team is a great way to bring together your friends and family and help the residents at Mercy Ministries receive hope and healing that completely transforms their lives.